Radiculopathy is describing a symptom that is radiating outside of the place where the injury is. 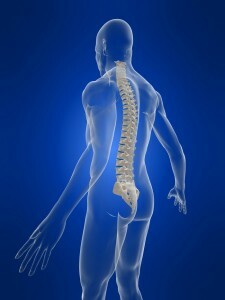 The biggest area that many people see radiculopathy is from the spine. For example, you may have a neck pain that is causing numbness, tingling or pain into the arm or hand. Or you may have low back pain that is shooting into the leg or foot. Sometimes you may have radiation of a symptom from an internal organ to the outside of your body; an example would be someone having arm pain in the middle of a heart attack.Just like any other symptom, the best approach is to look for the cause of the problem. In the case of radiculopathy you need someone experienced to look into what may be causing the problem, it is not simple enough to say, “Put one finger on the pain.” The place that hurts might not be the cause of the symptom. If you are having a radiculopathy in the arms or hands, the culprit may be the neck. If you are having pain, numbness or tingling into the feet, the problem may be in the low back. The reason that a problem in the spine may cause radiation into the extremities is because the presence of nerve roots that exit the spine at every level. Sometimes people will get conditions that exert pressure on that nerve causing a symptom down that nerve into your extremities. Anyone suffering from radiculopathy should be seen by someone that can identify the cause and offer a solution that is natural and affordable. Call our San Clemente office today for a complimentary consultation with the doctor.